OMSI Group L to R: Boru Guyota, Jamie Willeke, Jamie Hurd, Joe Kendzierski, Ric Stephens, Celina Stilphen, Claudia Denton, June Stephens, Shengnan Lai, Carol Gossett, Kyle Collins. Not pictured: Faaiz Ajaz and Jake Pollack. Researchers visited the project site and were provided a presentation and tour by OMSI Strategic Project Lead Jamie Hurd and Property Development Manager Carol Gossett. 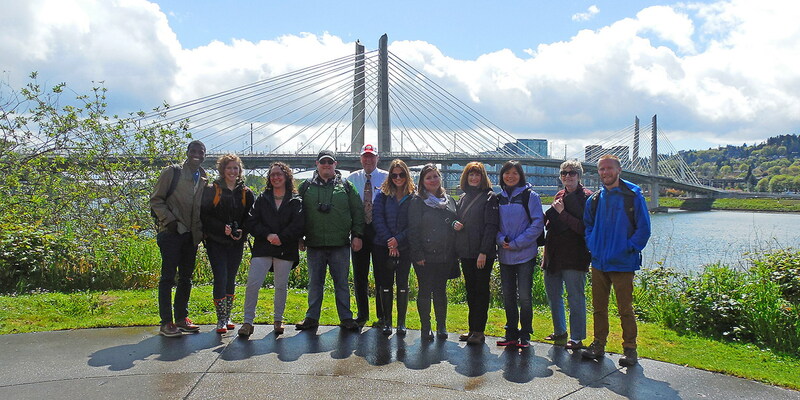 The walking tour included OMSI properties, Willamette Greenway and the TriMet development. The research team photographed architectural, landscape, urban design features, and used a small unmanned aerial vehicle (drone) for site reconnaissance. View of Willamette River between Tilikum Crossing and Marquam Bridge from OMSI. 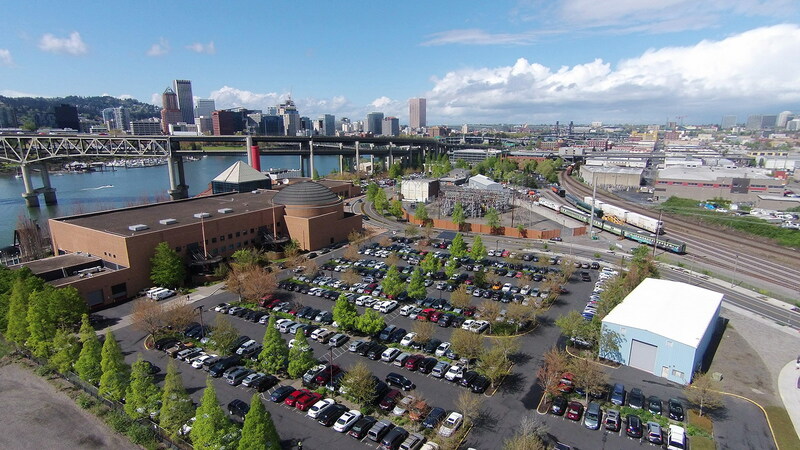 View of OMSI property adjacent TriMet SE Water Avenue Station. Aerial view of project site.